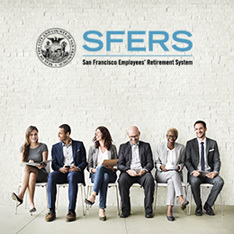 In the event of your death, the SFERS Pension Plan provides for a continuation allowance to your qualified survivor and a lump sum benefit to your designated beneficiary or beneficiaries. the status of the member’s survivor at date of death (qualified survivor and/or designated beneficiary). 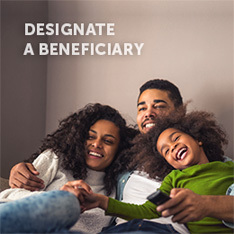 A qualified spouse/domestic partner must also be designated as your sole primary beneficiary to receive a continuation allowance upon your death. A continuation allowance may be paid to your qualified survivor, but only for the period that the survivor remains qualified (e.g. the earlier of age 18 or date of marriage for an unmarried child under age 18, or until remarriage for a spouse). Select this link for a definition of “Qualified Survivor” and Survivor Benefit details. If you do not have a qualified survivor, a lump sum benefit will be paid to your designated beneficiary or beneficiaries. 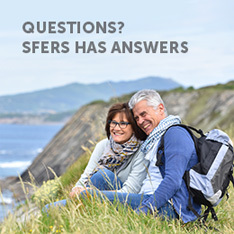 SFERS will pay a lump sum benefit to your designated beneficiary equal to $100 for each year of credited service you have at retirement, up to a maximum of $3,000. 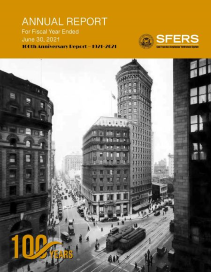 A person or persons, a trust, or an estate designated to receive a lump sum benefit upon your death. If you do not have a qualified survivor and you do not designate a beneficiary, a lump sum benefit will be paid to your estate. Please refer to “Death after Retirement” in your “Summary of Key Plan Provisions” for a detailed description of survivor benefits.